As the UK enters a new economic chapter, there is much deliberation over the future of the financial services sector. Many reports focus on the dominance of London within the industry, but they neglect to highlight important regional locations such as Edinburgh, which is seen as a major financial centre for fund management, employing approximately 52,800 people. Similarly, in a European context, Ireland is seen as a pre-eminent location for fund services, with its international financial services sector employing 25,000 people. This represents an excellent opportunity, in light of changing regulatory and policy environments, for UK regions and European partners to drive job growth and improve asset management servicing. Enterprise Ireland, the government organisation that supports Irish firms in the export of internationally traded services, recently co-hosted an event with the Consulate General of Ireland looking at enhancing the links between Ireland and Scotland’s vibrant financial services industries. The event, organised by the Scottish-Irish Finance Initiative, provided a strong platform to advocate a harmonised approach to financial services. 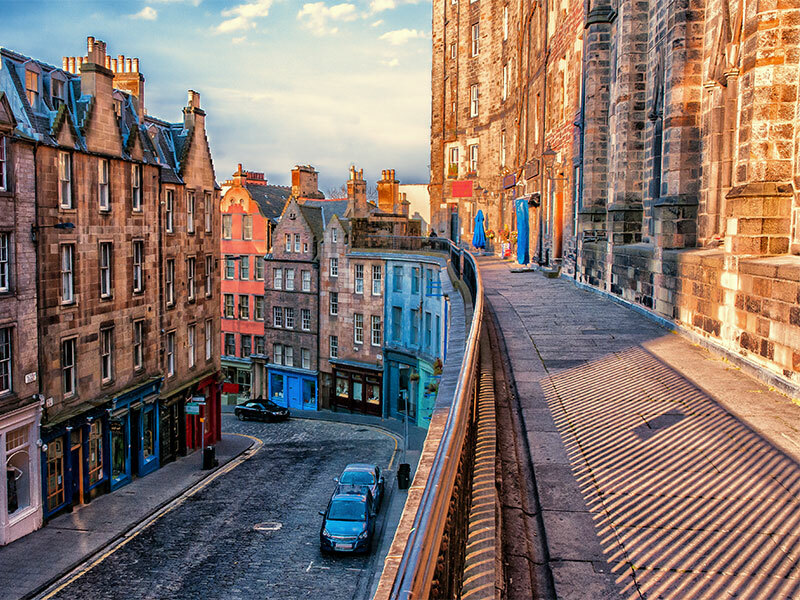 Scotland has established itself as the UK’s main financial hub outside London, with a thriving fintech sector and easy access to the world’s main financial markets. There are 157,000 people employed within the financial services sector in Scotland, and this number is spread between larger investment managers, smaller boutique and hedge funds, fund servicing, insurance, and banking operations. In tandem, these sectors generate over £8bn (€9.1bn) for the Scottish economy, while Edinburgh alone boasts £800bn (€913.8bn) worth of assets under management, accentuating the huge national and regional potential in the country. Ireland, similarly, has built itself up as one of the world’s leading fund and fintech hubs, as well as a centre for servicing investment banks and hedge funds. Furthermore, Ireland’s financial services credentials for the UK are clear cut, with the UK being the largest market for Irish financial services, representing 33 percent of exports. The total value of assets under administration in Ireland stands at £3.5trn (€4.0trn), providing a strong platform for increased collaboration with Scotland. Asset management – With Scotland and Ireland’s impressive ties to the asset management sector, the two nations should realise how important they can be to each other. Not only can they bring in more business by working together, but they can use their complementary and differing skillsets to drive better services and management. What’s more, working together can future-proof their activities, especially given the expected shifts in the policy environment over the next few years. Fintech – Scotland and Ireland are both home to companies involved in fintech (over £10bn (€11.4bn) was invested in fintech start-ups globally last year). Scotland could focus on developing the application of blockchain technology to frontline asset management and trades, while Ireland could focus on developing the technology as it applies to custody, administration and listing. The two countries could then build cooperation in the linking of blockchain expertise so as to create a unique proposition for financial markets and participants. Risk and compliance credentials – As a banking and financial centre, Scotland has a long history of managing financial risk and compliance, with a huge pool of talent among risk management professionals. Building on these credentials requires nurturing and collaboration with countries like Ireland. The predominance of Irish personnel within risk and control divisions at Wall Street firms is testament to the country’s expertise, and sets the tone for a bolstered partnership with Scotland. Scotland and Ireland have strong links to the financial services sector. Events such as the one co-hosted by Enterprise Ireland can allow companies to see the benefits of collaboration, driving innovation using complementary and differing skillsets. While there is still some uncertainty on the UK’s future trading arrangements with the rest of Europe, financial services companies in Ireland and Scotland can truly set the scene for a collaborative approach centred on optimism and adaptability.